One of the unfortunate consequences of President Obama publicly affirming that the Senkaku/Diaoyu Islands fall under the scope of the U.S.-Japan Mutual Cooperation and Security Treaty is that it has prompted other U.S. allies in the region to ask questions about the U.S. position on their own disputes. Specifically, South Korea is concerned about its dispute with Japan over the Dokdo/Takeshima islands. On April 24, when Obama was in Tokyo, South Korean foreign ministry spokesman Cho Tai-young told a press briefing that “Our government’s stance is that Dokdo is a territory under South Korea’s administrative control as stipulated in the South Korea-U.S. Mutual Defense Treaty.” That same day, Obama acknowledged that, because the Senkaku Islands fall under Japanese administration, the U.S. would thus be treaty-bound to fight beside Japan should those islands face attack. 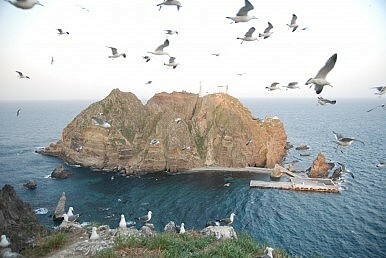 The Dokdo Islands (known as Takeshima in Japan, and also as the Liancourt Rocks) are a small group of uninhabited islets — in that sense, they are similar to the Senkaku/Diaoyu Islands disputed between China and Japan. Unlike that dispute, however, the Dokdo/Takeshima dispute involves two of the United States’ closest allies in Asia: South Korea and Japan. The dispute itself has a storied history involving the United States, dating all the way back to the Korean War. On December 9, 1953, shortly after the conclusion of the Korean War, U.S. Secretary of State John Foster Dulles told the American Embassy in Tokyo that the U.S. view on the islands “is simply that of one of many signatories to the treaty. The U.S. is not obligated to ‘protect Japan’ from Korean ‘pretensions’ to Dokdo, and that such an idea cannot… be considered as a legitimate claim for U.S. action under the U.S.-Japan security treaty.” In 1954 and 1962, Japan proposed that the dispute be taken to the International Court of Justice (a proposal that was rejected by South Korea then and again in 2012). In 1965, Japan and South Korea recognized the dispute as part of their Treaty of Basic relations, which normalized diplomatic relations between the two countries. Since then, tensions have simmered between the two countries over the dispute, with the issue occasionally being mentioned at a high level. In 2012, President Lee Myung-bak became the first South Korean president to visit the islands. Picking up Obama’s announcement regarding the Senkaku dispute, an opinion piece in the Korea Herald published Thursday ponders the question: “Will U.S. back Korea over Dokdo?” Unfortunately for South Korea, the answer to that question has to be a no. The United States was particularly hesitant to affirm that the Senkaku/Diaoyu Islands fall under the scope of the U.S.-Japan defense treaty precisely due to the expectations it would raise for the U.S. to take clear positions on other disputes. Even though the Secretaries of State and Defense, as well as other high level officials, had previously affirmed the U.S.-Japan alliance would apply to the Senkaku Islands, it took President Obama’s statement last week to spur Japanese confidence. For Washington, part of maintaining its hub-and-spoke system of Asian alliances in good health is to avoid mediating between its allies. As such, the United States will be hesitant to offer any formal guarantees to either Japan or South Korea about the status of the disputed Dokdo/Takeshima islands. Such a strategy would fall apart if either Japan or South Korea chose to take offensive action to secure the disputed islands, but Washington calculates (I think correctly) that the possibility of either country taking such action is remote. As the Korea Herald opinion pieces mentions, a consequence of the United States standing by Japan on Senkaku is that South Koreans are beginning to feel that the U.S.-South Korea alliance plays second fiddle to the United States’ much more developed alliance with Japan. If this feeling persists or proliferates in South Korea, the United States will find itself needing to do a lot more to “reassure” the Koreans of Washington’s commitment to the alliance. Part of credibly assuring South Korea will involve focusing the strategic discourse with South Korean leaders on the primary threat to stability on the Korean peninsula, which is North Korea. The United States can do this in a way that will not dismiss South Korean concerns about Japan. That the foreign ministry made a statement on April 24 regarding the status of Dokdo under the U.S.-South Korea alliance is worrying. The statement implies that South Korea, with a straight face, believes that the U.S.-South Korea Mutual Defense Treaty would bring the U.S. to back South Korea with military force against Japan over Dokdo. This is simply out of the question. If South Korea continues to press the issue with Washington, bilateral ties could suffer significantly. President Obama already demonstrated his willingness to serve as somewhat of an intermediary between Seoul and Tokyo when he presided over the first physical meeting between President Park Geun-hye and Prime Minister Shinzo Abe at the Nuclear Security Summit in The Hague in March, but such mediation has a limit. The United States will continue to remain neutral on the issue of Dokdo/Takeshima for the foreseeable future and there is little that South Korea can do to change this.